YIPPEE...I think we're in business. We both have LOTS to learn...so this will be a shorty post to make sure ...IT GOES to you and not cyberspace. for more one to ones @ the Apple store. and in case you wondered...YES!!! I did miss you guys LOTS! Look @ all your stamps...it's amazing what will fit in that small circle. There really are a million possibilities. you can change the color with alcohol inks...to coordinate with any project. and the mini crowns here. TRUST ME...they are a way cool product! 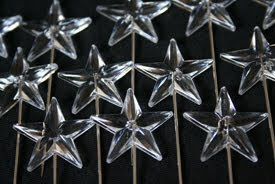 They dry shiny and stay raised...for a great embellishment. As you can guess...I'm in LOVE with the black. Good to see you back again. Can't wait to see the new stamps! Tried the memo pin trick with glossy accents, white enamel and black: super cool results. The clear sank and looks steam punkish (maybe a monocle or a pair of glasses with 2). I stamped small type letters on the back of the white and it looks fun too! This post is looking good from here ... 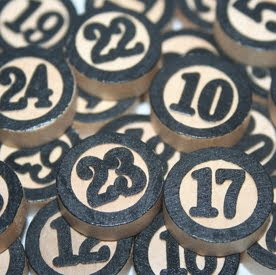 I need some black bingo thingies ... erm .... now ... and ... erm .... FOUR more sleeps!!!!!!!!!!!!!!!!!!! Looks good!!!! Love the trinket pin idea. Whew! I've been going through Wendy withdrawls this week. Congratulations on your new baby! Looking forward to more sneak peeks and postings. Just tried the memo pin with Glossy Accents on my mom's birthday card. It will be on my blog soon. Way cool! Glad you're back! Congrats on taking delivery of the Mac. Relax, it will be fun! Cannot wait to see all the new projects. Wish I were going to CHA but not this time. Awesome peeks! Looking forward to seeing the new stuff! Enjoy your Mac! looking forward to seeing your new stamps!!! oh man - I need to get another job to afford all of this cool stuff! Aha, good to see you back in blog land...we've been missing you for sure. Glad to hear the Mac thing is going well...as for me, I'll take Mac N Cheese. Love the new MR stuff, and can't wait to see the new ART! Welcome BACK!!! We missed you too! And welcome to the wonderful world of MAC! I got mine about a year ago and will never go back - NEVER! Can't wait to see all your new stuff this summer! You and Mac seem to be communicating just fine. Yes, welcome back to blogland...you were missed. Oh, and while you were "gone," I went ahead and ordered a boatload of MR goodies. Love those black bingo numbers and the mini crowns, and the star trinket pins and....you get the idea. You're going to love your Mac! As of this week, we're nearly 100% Mac family, with just one to go. Her computer is holding up, so no need to replace it yet! All four boys are on a Mac now. Did you get the Macbook or the Macbook Pro? I'd love the Pro, but my little 13" Macbook is holding up just fine, and it's two years now. The new design of the white one is a big improvement, and the Pro is sweeeeeeeet! That's what our son just ordered for law school, since they heard such a demand for use of Mac over PC that they upgraded their system and everything will now be available for Mac. Our son thought he was going to have to buy windows 7 for his Mac, but now he doesn't! His fiance just ordered the 13" macbook. If you didn't already do it, I recommend the applecare protection plan. It covers just about everything except the battery and software. Yay!!! It worked!!! I'm so glad you are back...I missed you!!! I used the white accents on a simple card recently and they are fun!!! It worked! So, now "show us the money!" You tease you...."I planned to to show you this but"
Congratulations on your Apple. I love mine, once you learn the differences you will be in love. It is a work horse. I can't wait to get my hands on those bingo pieces. I am patiently waiting for your new sets and Book #3, HA!! We've just bought a new laptop and were considering a Mac...wish we'd got one now having read all the endorsements here! A round of applause for your article post. Thanks Again. Keep writing.